The 2nd generation of Bkav SmartHome system fully meets the new home standards including: the control systems, systems of lighting, stereo, air conditioner, curtain, television, security system, voice command, etc. The world is experiencing the wave of Industrial Revolution 4.0, the smart home is the indispensable standard in every modern house. 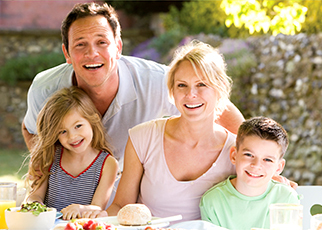 10 years ago, Bkav Corporation was the pioneer of this trend by launching the first generation of Bkav SmartHome. The first version was a luxurious product, only applied for super villas or luxurious and sophisticated apartments, so it was not popular. Based on this actual situation, Bkav Corporation launches the 2nd generation of Bkav SmartHome system with advanced technology and being industrially manufactured to optimize the price. The second-generation Bkav SmartHome is the latest generation of smart home system in the world with outstanding technology – according to the evaluation criteria by Gartner. Bkav SmartHome is researched and manufactured by Vietnamese engineers and experts. To develop a completed smart home system, besides developing software and operating system, Bkav masters all the most important manufacturing phases such as industrial design, mechanical design, electronic design, etc. 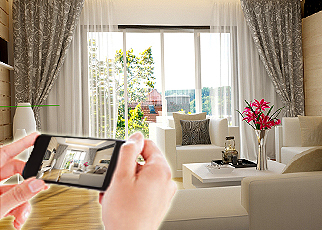 Bkav engineers elaborates in processing system devices to be commensurate with the requirements of a true smart home. All devices are designed with unibody aluminium, Gorilla Glass, touch screen and manufactured according to the industrial standards that meet the Certificate of Europe (CE). Bkav SmartHome Factory is invested with mechanical machines and devices that is up to thousands of USD to process material details. 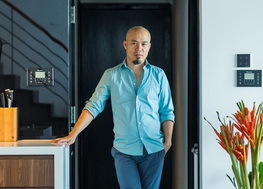 The second generation of Bkav SmartHome has been deployed in more than 1,000 apartments, villas in Hanoi and Ho Chi Minh City and other big cities of Vietnam. Its producer says that the second generation of Bkav SmartHome can be quickly installed, within several days. At the same time, the distribution system across 63 provinces in Vietnam will ensure best support for customers. For a conventional smart home system, you shall need dozens of switches to control all the devices. 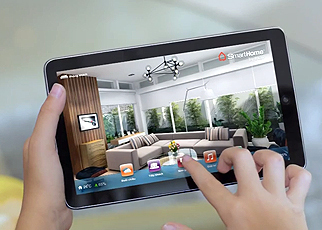 However, with Bkav SmartHome, everything shall be controlled with only a few of buttons on touch screen of a smart-phone or tablet. The following example may help you visualize the system operation: When a guest arrives, you simply touch "Welcome", the living room is brightly lit, curtains go up, air conditioner temperature is set to a lower level, etc. As usual, you would have to run across the rooms and press many switches to do this. It is so convenient to do all the works just by touching a button on the screen. Another example for the bedtime, instead of looking around the house, pulling the curtains, locking the doors, turning off the lights, walking blindly to the bed etc. just by tapping “Sleep mode” on your phone or tablet, the system will do all the things for you and simultaneously activate the security system, alarm when detecting illegal intrusion. Here is a common scenario: when driving home from your workplace, you simply tap "home mode", the water heater will begin working, the ventilation system and air conditioner will be activated, etc. so that when you open the door, everything is ready to serve. Not only receiving “command”, Bkav SmartHome also actively "serves" its owner. In the morning, the curtains slightly open, air conditioner is adjusted to higher temperature to encourage you to beat your “laziness” and get out of bed each morning. Besides smartphone and tablet, you can also control Bkav SmartHome directly through your voice. 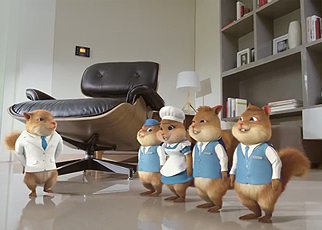 Bkav SmartHome is equipped with virtual assistant technology, which helps communicating with the system more friendly. It is comfortable when using your own voice to give command and the system responses to it. When people think about smart home, it is often implied that only billionaires can own such type of homes. However, Bkav SmartHome platform, with current advanced technologies, has made the smart home more popular and reasonable in prices to deploy for condos and the adjacent houses as a new home standard. 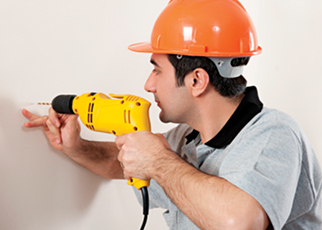 The lighting system inside and outside your home will be divided into areas. Only when there is a person at an area, will the lights of the area turn on. They will automatically turn off as soon as the person leaves. Moreover, the lighting system will self-adjust its operations based on owner’s hobbies such as greeting guest in welcome mode (all lamps lit up, from ceiling lamps, flood lamps, chandeliers, track lamps and color will be adjusted automatically based on the time). For example: during daytime, the lighting will automatically turn on at 50% of brightness, but at night, the lighting system will be 100% to meet the owner’s demand and activities, bringing the comfort and energy saving. 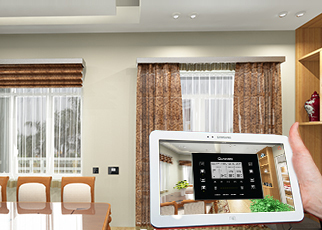 With the curtain control system by Bkav SmartHome, besides controlling remotely, closing and opening based on available scenarios, the system also allows controlling in combination with the systems of lighting, air conditioner, television, security etc. that is suitable to the situations in the reality such as welcome, security and sleep. 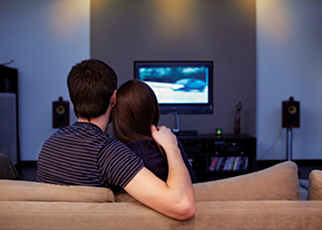 Bkav SmartHome also operates based on the user’s habits. For example: automatically pull curtain up in the morning and down at night. The system can identify the lighting demand between the winter and summer to automatically adjust the closing and opening. Owners often feel inconvenient when using air conditioner: they must turn it on for a while so that the in-door air becomes cool or want their air-conditioners to automatically adjust the in-door temperature. For example, at night, the temperature is often set at 25 °C. However, in early morning, users often feel cold and must wake up to increase the temperature to 27-28°C ... Bkav SmartHome system will help users to solve this problem. While on the way home, users can turn the air conditioner on and at night, users can use “Sleep” scenario to increase the temperature in early morning. Besides, users can remotely control air conditioner, television, fan or configure operating schedules for these devices via smartphone or tablet. Bkav SmartHome’s audio system will play favourite music to entertain its owner after a working day. Besides, it can automatically play gentle music in the morning, or your favourite music at weekend or happy birthday music to celebrate the owner’s birthday. Owners can adjust so that music will automatically play at different times via smartphone, tablet at anytime and in anywhere. The house’s security system plays an important role in protecting your home 24/7, monitoring any unauthorized intrusions etc. 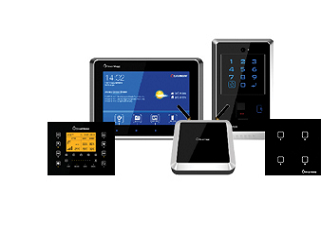 The system includes motion sensor devices, IP Camera system, access control system etc. 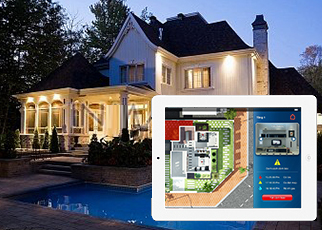 With Bkav SmartHome, the entire house’s security will be monitored via smartphone or tablet. For example, in case of detecting illegal intrusion at a monitored area, Bkav SmartHome security system will immediately send alerts to owner’s smartphone or tablet. Besides, users can set up different security ... levels such as turning on lights in intruded areas, giving the alerts via siren in the house, etc. The security system will help you automatically enable other scenarios in the house, make you feel assured at home or away from home. With the goal to make smart home becomes more popular and a new home standard, Bkav SmartHome’s designs are always simple and easy to use, even for children and elderly. Users can directly control via wall-mounted devices or smartphone, tablet with multiple control interfaces based on their demands. 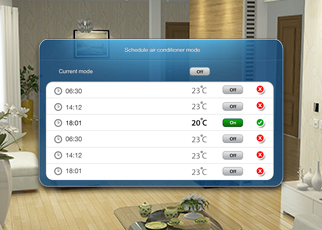 Smart home system has a lot of scenarios available so it is difficult for you to select a scenario to use sometimes. With Bkav SmartHome, its system only displays the scenarios, which are appropriate to use at the time or regularly used at certain times. For example, in the morning its touch screen only displays 4 buttons of “Morning”, “Wake up”, “Doing morning exercise”, “Get out of house”. By tapping “Do morning exercise”, the exercise machine starts, curtains opens, the fan ventilation starts up, music starts playing, the water heater operates in 30 minutes etc. You can control your house from anywhere. 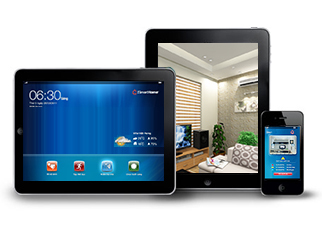 Whether in office, or on vacation, SmartHome system helps you easily monitor and control your home via mobile, tablet with Internet connection (Wifi, 3G). With wireless communication technologies, SmartHome system can be deployed easily in existing houses or brand new ones without having to re-arrange electric lines or their infrastructures. For example, to replace mechanical switches with smart system, an engineer just needs to remove the current switches and then install Bkav smart switches. To deploy Bkav SmartHome system for an apartment, it will take only about 2 hours. Bkav SmartHome system is truly smart thanks to its software. Besides, Bkav’s engineers produce elaborate devices of the system to make them deserve the high class of a smart home. Most devices used with unibody aluminium, scratch-resistant Gorilla glass, touch screen etc. These designs and materials are also used in smartphone manufacturing industry, which requires the designs to be modern, advanced. The devices are manufactured in accordance with industry standards and meet the European standards (CE).